What's New in Android 3.1 Honeycomb? Google showed off the new iteration of Honeycomb (their Android version for tablets) at their developers' conference today, which has a ton of new features: you can import photos directly from your camera to your tablet, for example! 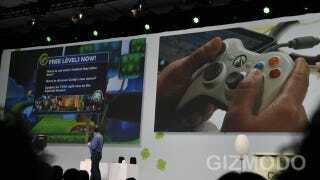 It will also let you hook up game controllers, keyboards, and other devices over USB. They had video showing a Xbox 360 controller hooked up to a phone. Seriously! This is huge news, because it completely changes the future of tablets—they're not just 'tablets' anymore but can be more computer-like and gaming devices. Widgets are also scalable in the next Honeycomb version, meaning you can stretch it horizontally or vertically to fit your needs. There's also a new scrollable 'task switcher' where you can see all the recent apps you've opened. This is a lot more elegant than the current limitations of just 4 recent apps. It'll also include the new movies app is coming to Android 3.1, and it'll let you rent movies starting at 2 a pop with terms similar to Amazon and iTunes (30-day window, 24 hour start/end period, etc). The Motorola Xoom is getting the Android 3.1 update today and Google TV will receive it 'this summer'. No word on when other Android Honeycomb Tablets are getting it though. This post is updating live.